Our logo is drawn from the idea of an inkblot! 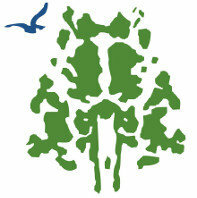 Of course as with any inkblot, different people see different things in our inkblot. For Mental Health, Educational and Potential Realisation. Promise is registered as a Charitable Trust and is recognised under Sections 12/A and 80G of the Income Tax Act and is registered under the FCRA with the Ministry of Home Affairs, Government of India. The Promise Foundation is a charitable trust established in 1987 to apply the behavioural sciences to promote the educational, social and economic development of the individual. The Promise Foundation comprises a core group of psychologists, social workers, special educators and teachers, and an international network of specialist consultants who provide services in the areas of mental health, education and potential realisation. The behavioural and cognitive sciences, anthropology and history describe fascinating avenues for human development in a multitude of areas. Yet, these opportunities and resources are not easily available to the largest sections of our populations, the poor. Broadly, we see our multiple programmes as focused on wellbeing and the two key issues of literacy and livelihood. The Promise Foundation's vision is to draw upon multi-disciplinary findings to inform culture-resonant programmes for the realisation of personal potentials amongst children and youth from disadvantaged homes. The complexities of why and how deprivations impact the child, the vexing nature of passive institutions and the challenges to social change, all need better understanding. We are committed to working closely with children and youth in their homes, neighbourhoods and schools to understand the barriers to development, and to learn from the resilience of those succeed. We conduct research to test existing theories and models and apply the findings of our research to inform applications that could be relevant to the developmental needs of socio-culturally and economically disadvantaged children and adolescents. This website is designed to share our work and experiences with professionals who work for children and youth from disadvantaged backgrounds.